One of the biggest MMA fights of the year is taking place July 7th on the UFC 148 card in Las Vegas. 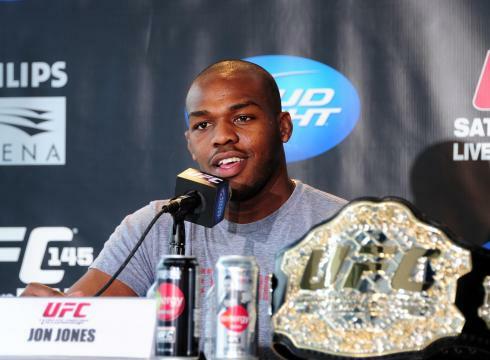 One of the longest running championship reigns in the UFC is being challenged. Also the most charismatic figure in MMA is in this fight. 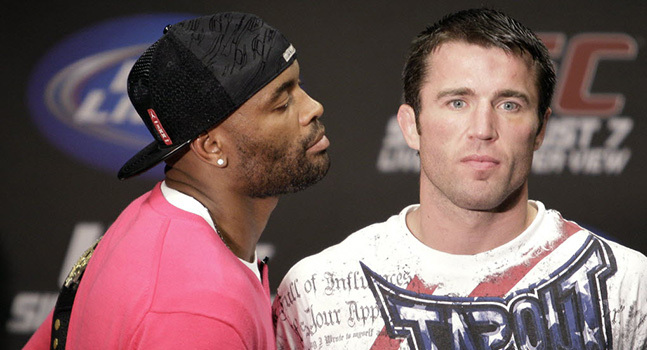 UFC Middleweight Champion Anderson Silva will defend his title against Chael Sonnen in their second battle. Their first fight took place on August 7th, 2010. It was an incredible fight and one of the best fights in 2010. Anderson Silva was losing the fight going into the 5th and final round when he was able to submit Sonnen with less than 2 minutes remaining in the fight. It was a fight that caused many to demand a rematch. Anderson Silva and Chael Sonnen at a press conference. It has been almost 2 years since their first battle. Many things have happened in the last couple of years to make it difficult for this fight to take place. In 2011 Chael Sonnen was dealing with a legal battle involving fraudulent use of his real estate license from 2006. That issue resulted in Sonnen losing his real estate license. Almost immediately after that problem was over Sonnen had controversy with the California State Athletic Commission for using PED’s. It was shown through urinalysis that Sonnen had elevated levels of testosterone during the fight on the 7th of August, 2010. He was suspended and the rematch was put on hold. He was recently cleared by the commission and the fight was finally scheduled. Originally the fight was to take place in Brazil, in Silva’s home country. 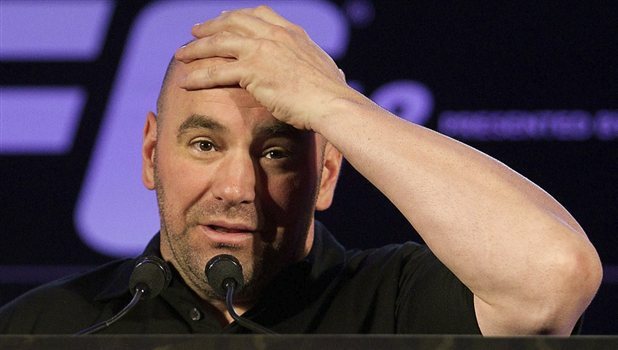 The President of the UFC Dana White wanted to have the event held in a big soccer stadium in the country. It would have made for great visuals and would have made the event very memorable. Unfortunately the United Nations will be holding a convention in Brazil in July as well. It was not in Brazil’s or the UFC’s favor to have both events there at the same time. The UFC 148 show was moved to Las Vegas a couple of months ago to solve the scheduling conflict. Chael Sonnen holds a record of 27 wins and 11 loses and has a good all around fight game. Sonnen is not only an incredible fighter but also has the talking ability the world of MMA has never seen before. He has cut some of the best promos seen in the UFC. Sonnen has a very pro wrestling style of talking up the fights and that is what the sport needs more of. It makes the fights feel like big events and is a very entertaining way of promotion for the events. He is a one of a kind talent that could do very well as a champion for the UFC and draw big PPV numbers. Anderson Silva is a completely different man. Silva is quiet and too himself, the language barrier does not help him being marketable in the US either. Silva hold s a record of 35 wins and 4 loses. 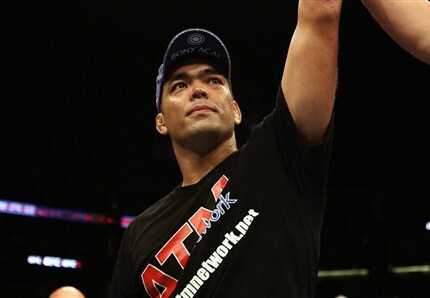 He has been a UFC Champion since October of 2006 when he defeated Rich Franklin for the middle wieght title. Silva is a great stand up fighter with good submission skills. He has dominated most of his fights in the last 6 years. There have been times however when matched up against lesser fighters where he has settled into a groove during the fight and not been very aggressive. Sonnen showed in the first fight that he can get Silva out of that groove and make him fight. Chael Sonnen pushing Anderson Silva to the limit during their 1st fight on August 7th,2010. This fight will probably be the best selling fight of the year for the UFC on PPV. Some are predicting more than 1 million PPV buys. I expect it to be a great fight, maybe even better than their first contest. I predict that Sonnen will win the fight via decision in 5 rounds. No matter who wins we will have great stories coming out of this fight. Either we will see Silva further cement his place as the best fighter in the UFC or we see their most charismatic champion ever. I think Sonnen winning would be a better outcome for the UFC. Sonnen has the potential to be one of their biggest PPV drawing buys since George St. Pierre and Brock Lesnar. The time to find out who takes this rematch is almost here and the fans and the MMA world can wait for it any longer.